William Hope, Maggie Ollerenshaw, Kerry Shale et al. Rumbling Rails! 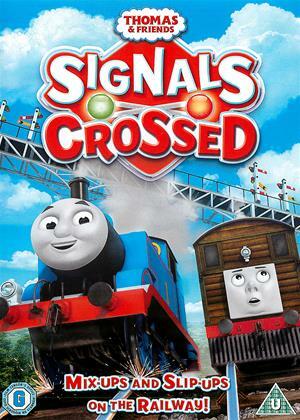 Thomas and Friends deliver mix-ups and mischief as signals get crossed on the Island of Sodor. Thomas digs Marion out of a deep hole, while Timothy helps Bill and Ben with coal trouble. Toby gets his signals confused at Knapford Junction, as Duncan blows steam dealing with a grumpy passenger. Thomas, Annie and Clarabel put on the brakes when a passenger causes confusion and delay. Join Thomas and his friends as they send out signals for fun and adventure!